Is there no low that these repulsive oxygen thieves will not sink to?? Hitting a female is bad enough, hitting them with a knuckle duster so they require emergency surgery and are scared for life is the pits, something only the absolute filth of humanity would do. Then again nothing surprises me any more with the religion of peace members emulating their violent woman hating prophet. All because she made it clear she wasn’t interested in his sexual advances. This attack on a young defenceless female is just another instance of cowardice from those who target the weakest, something that we are now becoming accustomed to unfortunately. Pack attacks on those who are outnumbered, old age pensioners, disabled people, women and children. Why the delay in releasing images of this brute responsible?? Do they not have CCTV cameras in Southend Town Centre??? A YOUNG woman has been left scarred for life after being attacked by a man after a Christmas night out with friends. Chloe Dutton, 19, left Talk nightclub with two friends and went for a takeway near Southend bus station when she became aware they were being followed by a man. After he was told to stop pestering the women, the man rounded on them, knocking two of them to the ground before punching Miss Dutton in the face with what is thought to be a knuckleduster. The Kent University student needed emergency plastic surgery to a gash from her eye to her cheek and faces further operations on a broken eye socket. Miss Dutton, of **removed kc** Drive, Westcliff, who is studying social work, said: “I went out with two girlfriends on Boxing Night. “We realised we were being followed. The man kept trying to separate me from my friends. My friends told him I wasn’t interested and to go away, but he started attacking them. He got them on the floor and kicked them several times, then he attacked me. Miss Dutton said neither she nor her friends knew the man. She added: “I had to wait five hours in A&E and they transferred me to Broomfield Hospital, in Chelmsford. I had to have plastic surgery and didn’t leave hospital until Sunday night. “I have to go for a CAT scan. They said the man must have used a knuckleduster to do so much damage and that I will be scarred for life. 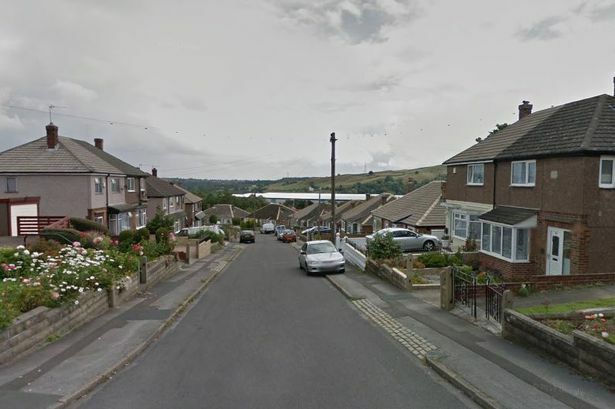 A police spokesman said: “We were called at 2.10am to reports an Asian man assaulted a woman and her friends. “The women reported they were walking through town when he began speaking to them. “They asked him to stop as they didn’t know him and he assaulted them. “One girl was badly injured and has a fractured eye socket. A police vehicle took them to hospital. The man is described as Asian, aged about 25 and wearing a black jacket, jeans and a grey hat. The spokesman confirmed an ambulance hadn’t been sent by the time time they were told to stand down. James Rees lost part of his right leg after a motorbike accident last year and said that he was kicked on it a number of times. A WHEELCHAIR-BOUND man claims he is living in fear after being threatened by one man and then attacked by two others. The trouble began at around 9.30pm last Sunday after Mr Rees, aged 28, of Heol Gwyrosydd in Penlan, returned from a local shop in his wheelchair. Soon after two other men arrived on the scene, he said. Mr Rees said the other man kicked the stump of injured leg a number of times, leaving him screaming in pain. He has since had to see a specialist at Morriston Hospital to assess any new damage to his leg. Police said they were investigating allegations of threats made in Heol Gwyrosydd at around 9.30pm last Sunday. “The victim and the suspect are known to each other and inquiries are ongoing to trace him,” said a spokesman. Police described one of the two men on foot as of Asian appearance, aged mid-20s, of slim build, black hair, with short back and sides, with a pattern shaved in the sides of his hair, near his ears. 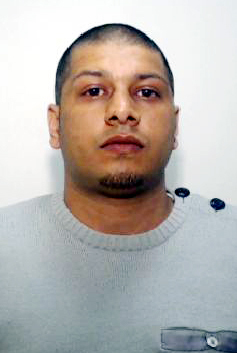 He was clean shaven, and was wearing a dark blue hooded top and dark coloured Nike tracksuit bottoms. He ran down Heol Gwyrosydd in the general direction of Mynydd Newydd Road, and was with the other man. Can you help? Call police on 101 or Crimestoppers anonymously on 0800 555 111 quoting occurrence number 1400365025. Police are searching for two men who robbed a man of his smartphone in Three Bridges. At about 9pm on Sunday January 19 the 30-year old local man was walking home along a footpath between the parade of shops in Gales Drive, Three Bridges, and North Road, when he was approached by two men who demanded his LG Nexus smartphone and wallet which contained a few cards but no cash. They ran off, throwing away the contents of his wallet as they did so. He was shaken but unhurt. The two suspects are both described as of Asian or black appearance. One was 6ft and skinny, with short shaved hair, possibly black, and clean shaven. he wore a tan or yellow coat. The other suspect was 5ft 8in, of average build, wearing a blueish/greenish coat. Birmingham police are hunting for an Asian thug who punched a 46 year old woman in the face, then repeatedly kicked her while she was defenceless on the floor as he robbed her bag. The scum bag responsible for this violent attack is the lowest of the low. Robbing a woman’s bag is bad enough, punching and kicking her in the process is just the pits. Its the sort of spineless behaviour you expect on the back streets of Lahore not Birmingham. Detectives are on the hunt for a violent thug who punched a woman in the face and stole her handbag as she made her way home from a shopping trip in Small Heath. The thief knocked her to the ground on Heybarnes Road at around 6pm on Thursday, November 7, before repeatedly kicking her as she lay on the floor. He managed to get away after breaking her bag, running off in the direction of the junction with Hobmoor Road, where he turned left towards Starbank Road. The 46-year-old woman, who had been buying groceries at nearby Asda, was left with a black eye and a swollen lip, as well as pain in her leg and shoulder. Police believe there may have been numerous witnesses to the robbery and are appealing for them to come forward. 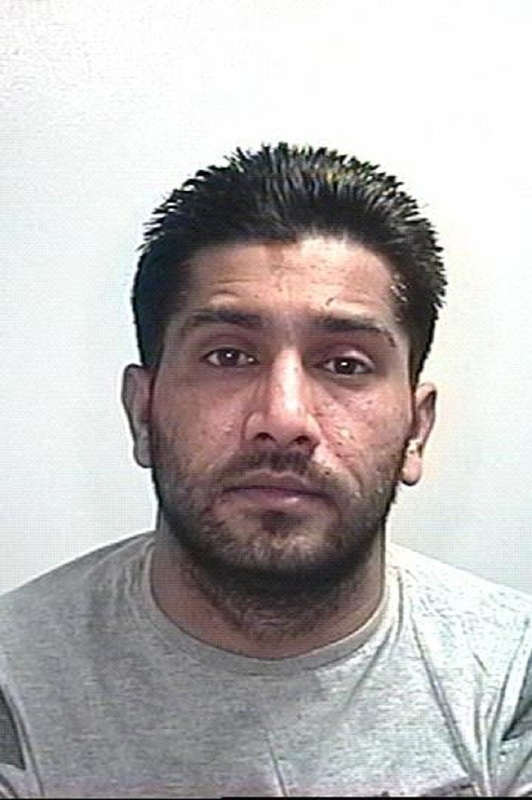 The attacker is described as Asian or dark-skinned, around 5ft 7ins tall, of medium build, aged between 20 and 30. He was wearing a dark hooded jacket and jeans. Investigating officer DC Lisa O’Grady, from Stechford police station, said: “The thief specifically targeted a defenceless woman who was on her own, using a completely unnecessary amount of violence against her.